Apparently today is Earth Day, which means I'll spend the day feeling twice as guilty than I normally do for refusing to use cloth diapers and not composting my kale stems. 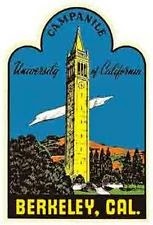 As some of my long time readers know, I spent my formative years in Berkeley, the center of the universe for all things hippy-dippy and Earth-centric. I don't know where the idea of Earth Day came from, but if it didn't originate from some stoned-out-of-his-gourd environmental studies major at UC Berkeley, I'd be pretty shocked. Anywho, I attended private grade school right in the heart of Berkeley for K-8, and while much of what I learned was excellent and challenging and entirely responsible for the closeted nerd that I am, there were a number of things that occurred at my school that were... countercultural to say the least. My school made a HUGE deal of Earth Day every year, so I have vague recollections of making flower crowns and sitting in the quad participating in some sort of drum circle. These activities were lead by teachers, mind you, specifically my math teacher who also happened to be a Dead Head and who often missed school due to the fact that she had hopped in her VW Bus and either gone on a bender or headed out to wherever The Dead were playing that week. Based on that description I think you probably won't be surprised that she didn't wear a bra or deodorant and that on the last day of classes she played a Sounds of the Rain Forest CD, sprayed us with water and told us to "close our eyes and imagine we were in Brazil". Welcome to a childhood spent in Berkeley, my friends. Now that I'm an adult and a parent, I'm both sort of horrified at the fact that some of these individuals were allowed to mold the minds of young children, yet also grateful for the unique experiences I had. Growing up in Berkeley was a lesson in the dichotomies of life; surrounded on the one hand by the brilliant minds at UC Berkeley and Lawrence Labs and the attendant high salaries and wealth that went along with that, while on the opposite end of the spectrum there were Schizophrenic homeless people roaming the streets and pooping on the doorsteps of the aforementioned Professor's homes. It's truly a magical, mystical land of peace, love, and public defecation, my friends. Anyway, I wish you a Happy Earth Day, whatever that means for you. While I won't be participating in any drumming circles or making flower crowns, I just might download some Sounds of the Brazilian Rainforest to share with the Muffin Man. In the spirit of the day, I'm sharing a fantastic recipe for All Natural Dishwasher Detergent with you. It's so much cheaper than the (toxic) stuff from the store and better for the environment! Combine all ingredients and store in an airtight container. Use 1 tablespoon per load, plus some white vinegar added to the rinse cycle. This is especially amazing if you have hard water like we do in Los Angeles.